There are numerous places to eat out, and many walks and places to visit near Ellis Howe; here are a few which our visitors have enjoyed. Two miles away in Coniston, there are several places to eat including The Black Bull Inn (01539 441335) which has its own brewery, where several prize winning ales are brewed, including Bluebird Bitter and Old Man Ale. There are many walks from the cottage door; you can walk down to Coniston Water by following the minor road past Hollace, the bungalow near Ellis Howe and turning right at the footpath sign; follow the path down through Torver Common and you will arrive at the lake. If you wish to continue you can walk into Coniston, and then return to Torver. Another pleasant walk is to be found at Tarn Hows; you can walk there from Coniston, go round the lake and then return, past Yew Tree Farm, which was the setting for Beatrix Potter’s home in the film “Miss Potter”. You could also take a detour to Tilberthwaite and see the sheepfold designed by Andy Goldsworthy. For the more experienced walker the ascent of the Old Man of Coniston is a must; the path from the Wilsons Arms is probably the most accessible. There are further details of this and the many other walks in the guidebooks in the cottage. Cycles can be hired from the Boating Centre next to the Bluebird cafe on Coniston Water; you can cycle round the lake, a distance of about fourteen miles. At nearby Grizedale Forest (01229 860010) there are several cycle trails. Also at Grizedale you can “Go Ape”, follow one of the walking trails, or the sculpture trail. Boats can be hired on Coniston Water, or you can take a circular trip of the lake on the Steam Gondola (01539 432733) or the Coniston Launch. (017687 75753). Pony trekking is available at Crook Barn Stables (01539 441088) in Torver or Spoon Hall in Coniston (01539 482148). Ruskin Museum (01539 411164): a small museum in the centre of Coniston, where you can find out more about the history of the village, John Ruskin, and Donald Campbell, who died on Coniston Water in 1967, whilst attempting to break his own water speed record in a jet powered boat, Bluebird K7. This was recently raised from the lake and is being restored to be exhibited in the museum. 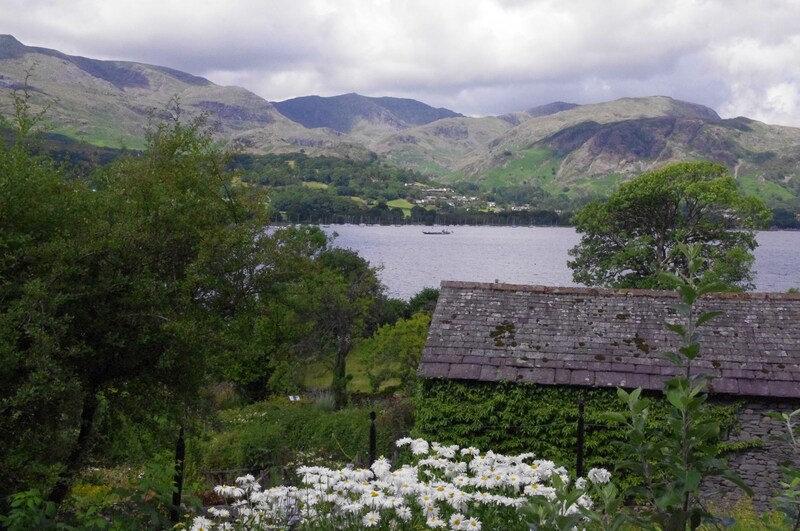 Brantwood, across the lake from Coniston, is the historic former home of John Ruskin, and has a programme of exhibitions, special events and outdoor theatre performances. (01539 441396). Hill Top, Sawrey (01539 436269): Beatrix Potter’s farmhouse, built in the seventeenth century, which is run by the National Trust; there are several other National Trust properties to visit in the area including Wray Castle at Ambleside and Allan Bank at Grasmere. 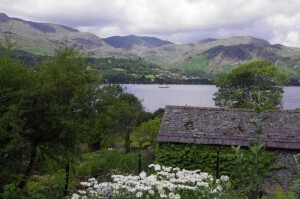 Blackwell (01539 446139): one of Britain’s finest Arts and Crafts houses, which overlooks Lake Windermere. Mirehouse (01768 772287): a large historic house two miles north of Keswick on Lake Bassenthwaite, with gardens and an idyllic small church; also nearby is the Whinlatter Forest.